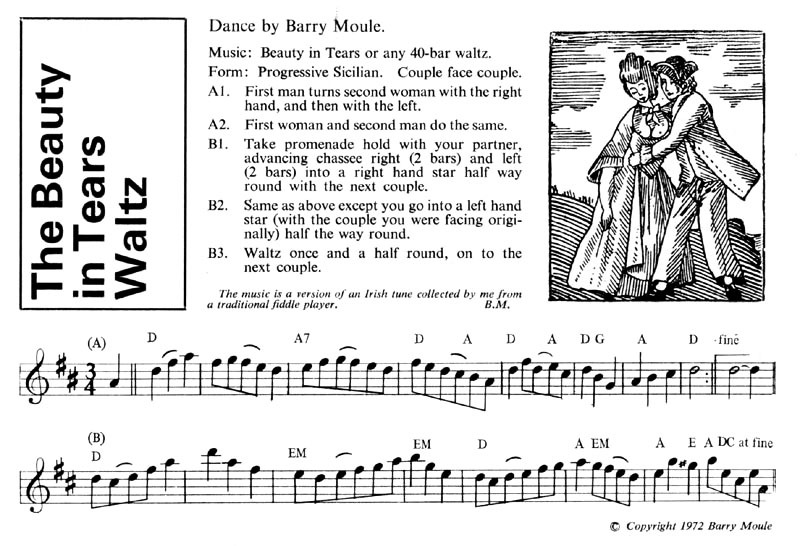 40 bar waltz. The "Beauty in Tears" tune was written by Turlough O'Carolan. In a Sicilian Circle I believe that the convention is to number the couples facing AC as the First Couples.